GET UP CLOSE TO THE MOST EXCLUSIVE CAR ON THE PLANET W-Motor is launching the most advanced 3D customization experience with their new app with own design into smallest detail. W-Motor, a car company based in Dubai, is exceptionally renown for producing one of the fastest cars in the world open exclusively for sale to a small number of customers. Solely seven units of the luxury-, super- or hypercars with unique features each priced at around $3.5 million are offered annually. This limited available quantity of W-Motor vehicles raised passion and enthusiasm in people to once observe a car in the real world. The hypercar line Lykan HyperSport with 750 horse power, accelerating from 1 to 100 kmph in 2.8 seconds and with a maximum speed of 395 kmph was featured in the movie “Fast and Furious 7”. In an action scene in the movie the car was portrayed racing at its highest speed out of the top floor of a building. In general, the W-Motor cars aspires to unify innovation, technology, luxury, and craftsmanship in their vehicle. THE ADVANTAGES The car company strived to establish a tool to be utilised for multiple purposes and accessible by anyone to broaden the car’s engagement with the public and the customer. For this purpose, Visionaries 777 created an app downloadable worldwide which succeeded in generating multiple benefits. The user of the application can configure and view the maintained details of the car. The app provides the opportunity for every person to digitally customize the car of their dreams. While the app is directly engaging with the user, at the same time it brings the brand closer to the customer and reinforces its awareness. The time-consuming visualisation and optimisation of the digital car resulted in sustaining every characteristic detail of the car. On the device, every element is displayed as of the real vehicle and possible to be redesigned by the user. This unprecedented opportunity evokes excitement in the user and entertainment that directly interacts with the brand. Sharing this experience leads to a marketing strategy which is constituted close to the customer. This digital solution can even replace the physical car in a tradeshow and display the vehicle without losing details and motion. The integrated digital configurator empowers the usage on crossplatforms, on interactive screens and the display with augmented reality. At exhibitions worldwide it would be more cost-effective to showcase the car in a digital way than shipping a car from one location to another. Furthermore, as W-Motor cars are only produced on a small-scale, the demonstrated cars might not possess the wished features. Until recently it was difficult for potential customers to imagine the physical appearance of their adapted version. THE SOLUTION Visionaries 777 created an app for W-Motor to visualise their cars with exceptional quality. The app empowers the user to compose a complete unique design of a W-Motor car. In the first place, the app lets the user either chose to create an own design of the 2017 W-Motor’s Lykan HyperSport or the 2018 W-Motor’s Fenyr SuperSport. The app allows the user to entirely customise these two cars, ranging from the array of colours to the smallest detail inside the car. For example, the user can adapt the materials, lights and the interior equipment, the dashboard, the stitching in the carbon fibre seats to his preferences. The app further enables the user to digitally open up the rims and the back of the car. The high-end quality image of W-Motor cars is sustained in likewise including the choice of precious stones implemented in the headlights and further luxury touches. All of these adjustments create a car differentiating from any precious model until the production-ready status. The absolute concentration is on the improvement of the visualisation and the flexibility of the user to customise the digital car. 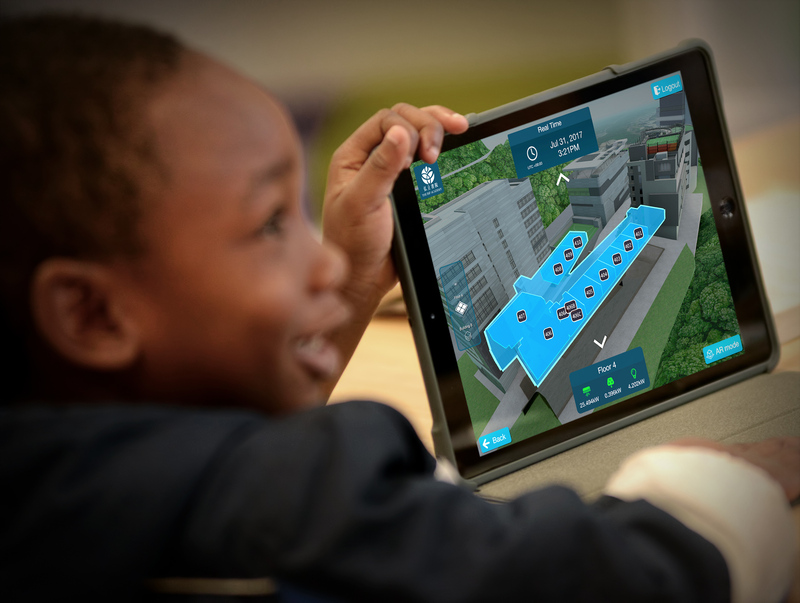 The app is designed to digital encompass every single detail and brought the visualisation as close as possible to the real model on an electronic platform. 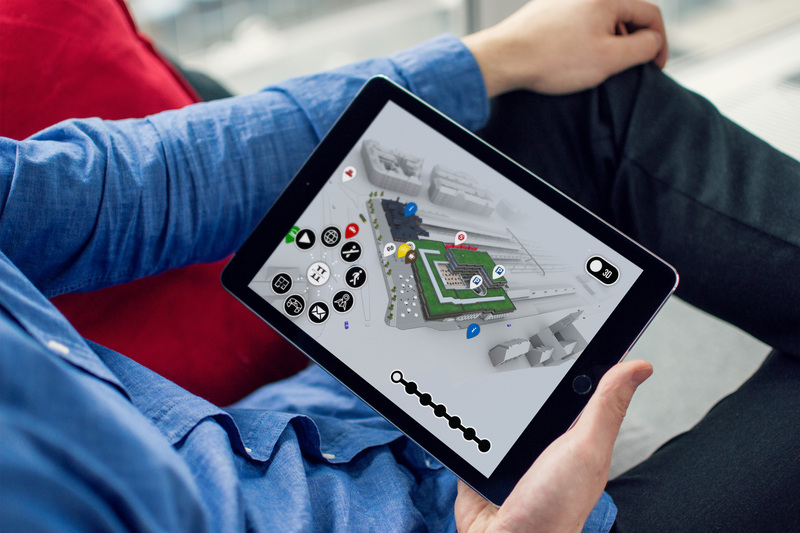 The user can choose the car to be displayed in two different modes: either in a 3D format or in augmented reality. The 3D format got extremely optimised and contains all the features of the physical vehicle. The user can move, zoom in and observe the own-designed car from every angle and observe the light reflections from its surroundings. In this format, the environment of the car can be changed to different locations (e.g. Europe, Middle East) to stimulate the user’s imagination. The second mode is the visualisation of the individual adapted car in augmented reality in a real life setting. The augmented reality is applied without a marker, simply rendering it and it is possible to place the car at any places next to you. For example, the digital car can be placed in its original size on a street or a parking lot. 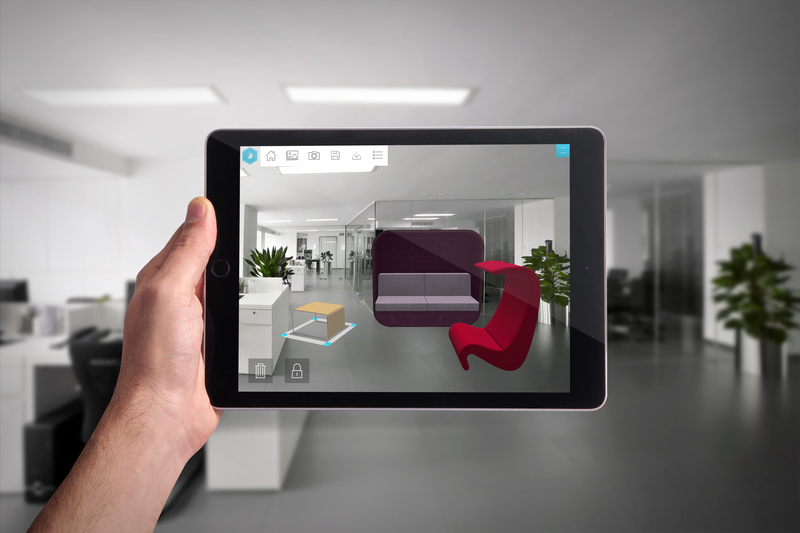 With the device holding in the hands, it is possible to see the digital design on its own premises. THE RESULT The digital version succeeded in bringing the car closer to the customer. The app resulted in an efficient marketing strategy and in a higher consumer awareness. The app is downloadable in multiple countries. With the size of 452 MB, it is designed lightweight and compatible with devices featuring Android or iOS 7.0 or later. The creation from Visionaries 777 helped to provide an improved imagination of W-Motor’s cars to the public. While inspecting the car in the wished design from every angles, the company accomplishes to get closer to the customer. Distributors may not be able to display cars physically in different colours and different specifications. With the help of the app, it is possible to show the customers with different creations. The app provides options to plug in the customer’s selection and display on a larger screen. This offers the complete new option to present the customer’s own designed car before its production with real life details and motion experiences. It is an innovative app which may evoke excitement of customers. The W-Motor car embodies a product in which a lot of people would be aspiring to have but only a few can actually have. The digital version succeeded in bringing the car closer to the customer. The app resulted in an efficient marketing strategy and in a higher consumer awareness. After downloading the app and engaging with it, users may share the experience online, creating a high social media outcome. This helped people to create more interaction with the brand and a coherent picture of the brand. THE FUTURE The future of W-Motor’s app is gradually becoming more digital and implementing the same lines of strategy for every single product developed. When lodging a new car, instead of physical production, previewing customer’s selection with augmented reality will be a trend in near future. This allows customers to envision the newly released vehicles and to get market input on the digital version, eliminating physical production of the vehicles. This will benefit the company with a more cost efficient way for its final adaptions. The tool is designed adjustable, leaving space for new features in the future. For example, a second car could be implemented in case for multiple uses, as a simple way to compare vehicles or to implement a gaming application for racing simulator video games. The app was designed as a reusable tool in the future. W-Motors may also decide to integrate the app into virtual reality in the future as it is already equipped with necessary 3D items. The creation of an interactive screen version would be the ultimate vision. By using this tool, W-Motors could exhibit in any shows worldwide without the need of physical space with virtual cars in the future.